Xiaomi has just finished final development of its official MIUI 9 update. The company has released the list of final 40 devices which will be receiving the update in the near future. With the major work done with MIUI 9, the company is already focusing on the next version of its ROM which the company will release sometime in 2018. The official announcement was made by co-founder and senior vice-president of Xiaomi Hong Feng, who is also the head of the company’s MIUI business unit, at the 2017 summary meeting. Contrary to the previous rumors the next version will not be called MIUI X. Hong Feng confirmed that Xiaomi will follow the traditional version numbering and the next version will officially be called MIUI 10. Although the company has not revealed any details of MIUI 10 till now, it is believed that artificial intelligence or AI will be a major focus for Xiaomi this year. With companies like Google, Apple, Amazon, Samsung, and Huawei leading in the AI front, the Chinese smartphone giant doesn’t want to be left behind. The company has already introduced a couple of AI-powered features like Smart Assistant and Smart App launcher in the Chinese version of the MIUI 9 ROM, however, it still is way behind the pack. Xiaomi will be looking to cut the gap this year with its MIUI 10 update. 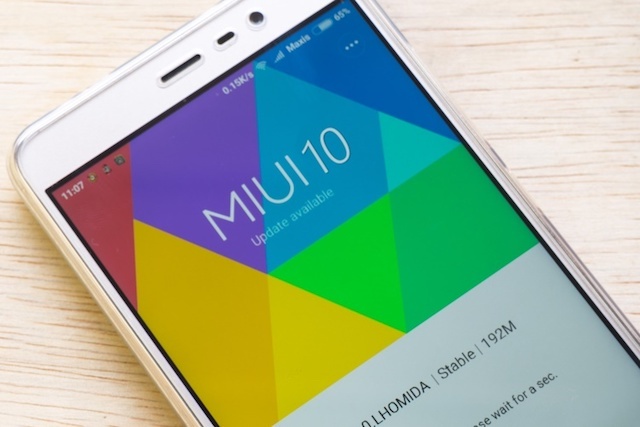 If rumors are true, this probably will be the biggest update MIUI will have seen in years. MIUI is already one of my most favorite custom ROMs and I really want it to compete against the likes Stock Android and Huawei EMUI. That said, as always, most probably we will be seeing the unveiling of MIUI 10 in mid-2018 around July, so there’s still a lot of waiting to be done.